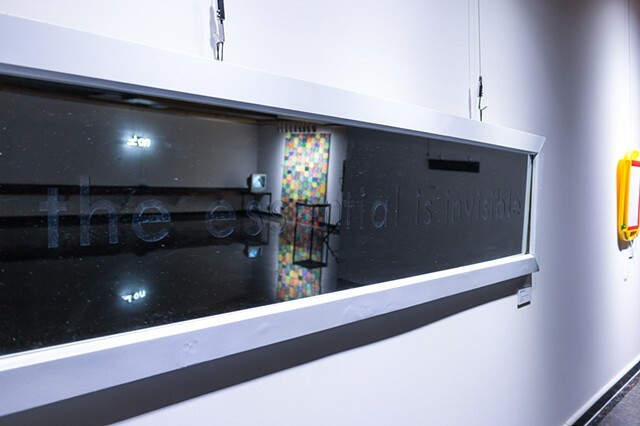 I scratched off the back of this mirror to create the text "the essential is invisible". Then, I glued another mirror to the back to show the viewer an almost seamless reflection. Shown in Gallery DAC, Art Space One, and Salt Gallery in South Korea.